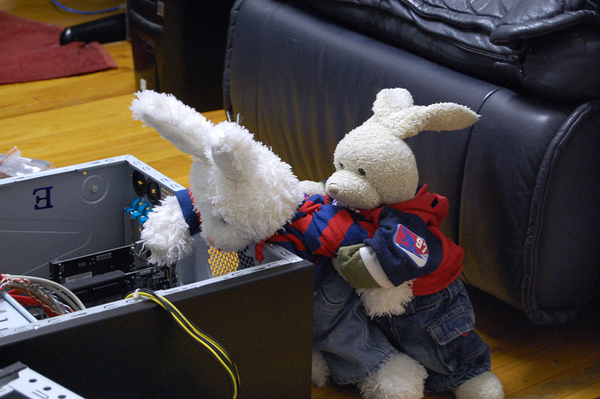 helpin ITGuy fix computer.. NO, Rufus, we're not grounded! STATIC!! Zackary Rabbit i bet derz a bunch of @RufusRabitt fluff inside da pooter now!